In some ways, this week has been much quieter. I haven’t been able to go into Uni much, and have been forced to rest after a hospital stay. Yet again, it’s made me realise how terrible I am at resting and doing nothing! It has also definitely become autumn, almost overnight. 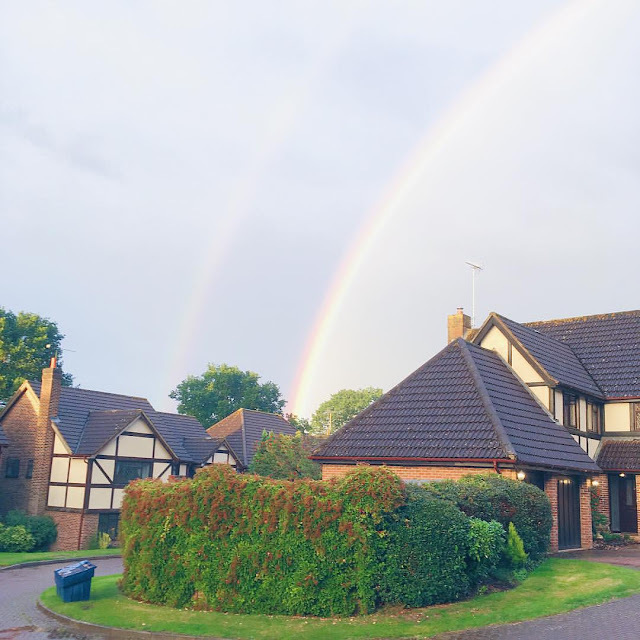 One day it was lovely and warm and sunny; then the next it was absolutely freezing and pouring with rain. It doesn’t help that our heating has broken (and my electric blanket broke at the same time!) so I’ve been struggling to get warm. Fingers crossed we can get it fixed early next week. David and Emma picked me up last Sunday morning, and we drove over to Kingston. Emma and I had an appointment at the Lush Spa there, so David dropped us off in the centre of town. Unfortunately, my therapist had called in sick, so I wasn’t able to have the treatment I’d booked. I was quite disappointed, as I’d been really looking forward to it, but they offered me a treatment called The Spell, so I thought I’d give it a go. While they got our rooms ready, we were both treated to a hand and arm massage. Our treatments were then explained before we were taken to our treatment rooms. ‘The Spell’ concentrates on the feet and head, and was unbelievably relaxing! I even fell asleep at one point! At the end, I was given a cup of hot water with lemon, mint and lemongrass to help cleanse my digestive system. I came out feeling like I was floating on air, and found Emma feeling very similar (she had The Comforter, which I’d really like to try out!) 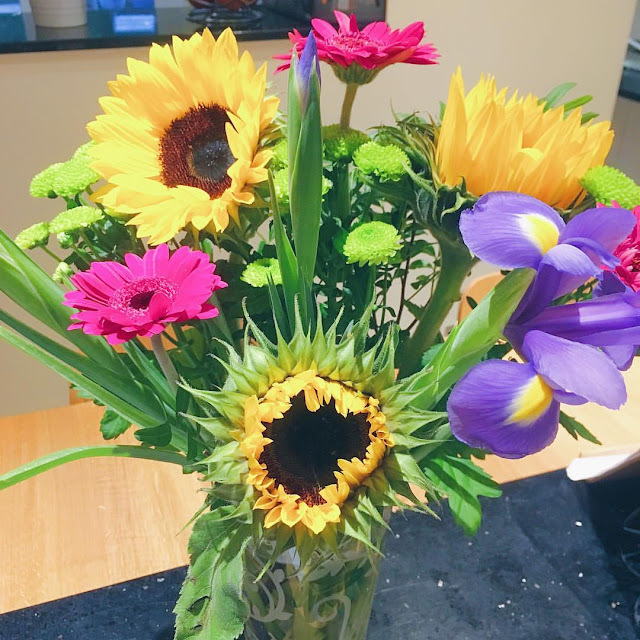 I was also given a Random Act of Kindness of a couple of their new products, to apologise for not doing my original treatment. For lunch, we found an amazing little gluten-free café called Glutopia where absolutely everything was gluten-free. A complete bonus when you’re on a restricted diet, and it made a change actually having so much choice! While we waited for David to pick us up, we looked round Cath Kidston and John Lewis who had some awesome Halloween and Christmas stuff in. 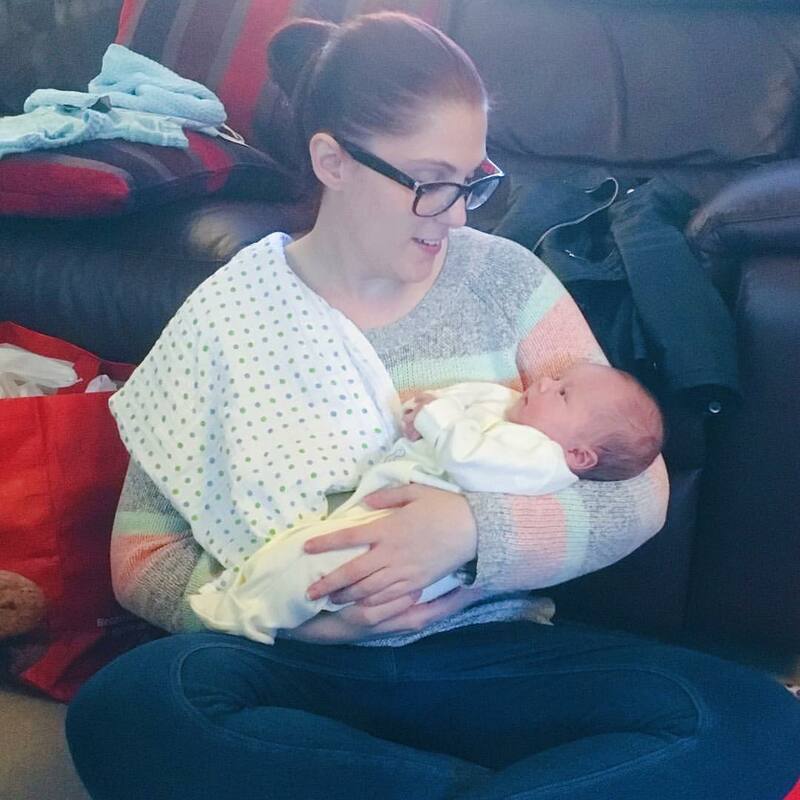 When we got home I popped over the road to see my best friend, Sarah, and finally got to meet baby Charlie, who is absolutely gorgeous. These are a few photos I took at the Lush Spa. 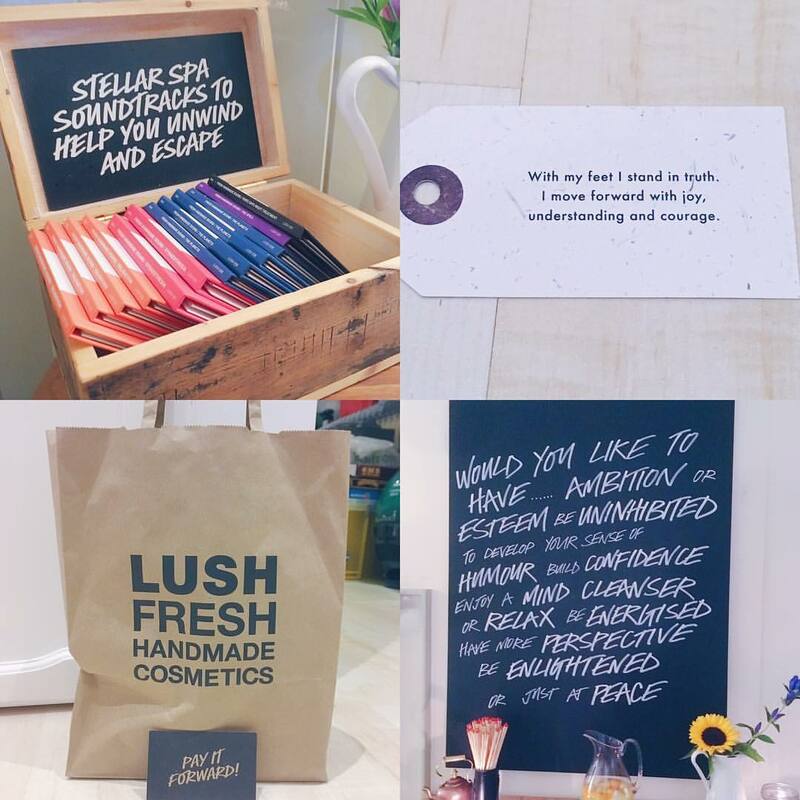 I was so impressed by the creativity of the space and the treatments (I wouldn’t expect any less from Lush!) and I’m absolutely desperate to go back and try more treatments. Unfortunately, the spa at Kingston is closing soon, so if I want to try out more spa treatments I’ll probably need to go to London in future. But it will definitely be worth it. I’m determined to make my way through everything they offer! I had to be up really early on Monday morning so I could have some breakfast before 7am. I spent the morning packing a small bag for hospital, putting up a blog post that was meant to go up on Sunday and then I fell asleep. My Dad drove me over to the hospital and took me round to the Day Surgery Unit. They settled me in my bed and went through various questions and observations. A bit later, the anaesthetist and doctor came to see me to discuss the procedure. There was a bit of a mix up, as they thought they were doing the injections in my neck, which I had about a month ago. Thankfully they were happy to change my paperwork, as I was a bit worried they would send me home again. 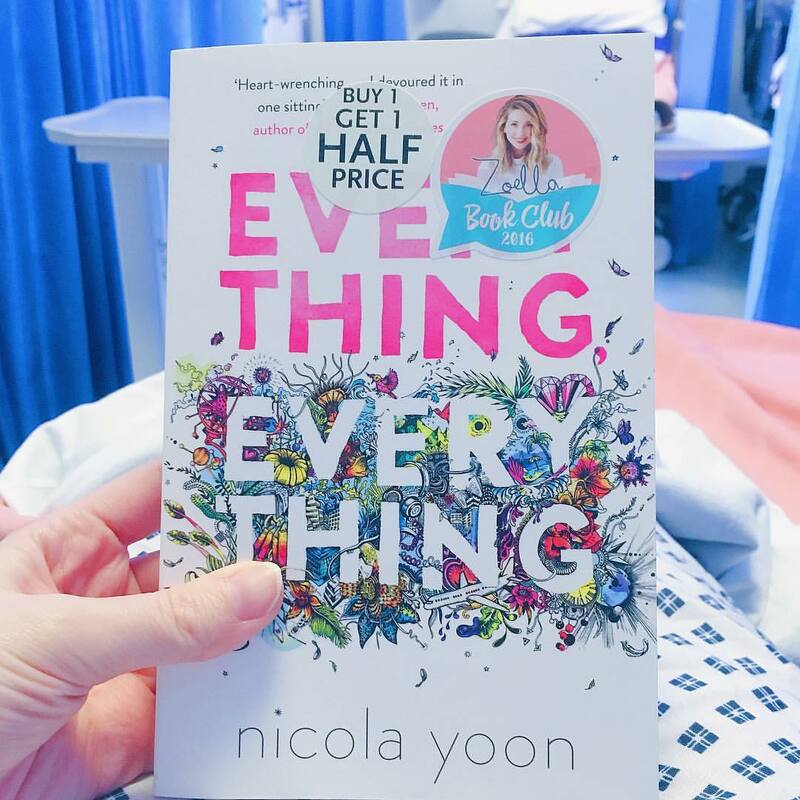 I then spent a few hours reading my book from Zoella’s book club, flicking through a magazine and dozing. I was taken down to theatre late afternoon, where I was sedated and given around 14 injections at various places in my back. I woke up in recovery feeling rather sore and groggy, and after I was given time to come round and my observations were stable, I was taken back to the ward. My Dad came to pick me up later in the evening. Tuesday was hard work unfortunately. I didn’t sleep very well on Monday night because every time I turned over the pain woke me up, so I got up quite late. I managed to have a bit of breakfast, but am really struggling with eating at the moment because I feel so sick and my acid pain is getting worse. Roll on having this gastroscopy to see if we can find out why things have got so much worse. I didn’t manage to get dressed until lunchtime, and then went downstairs and dozed on the sofa until mid-afternoon. My Mum walked me across the road so we could see Sarah and Charlie again before they went home, which was lovely but completely wore me out. 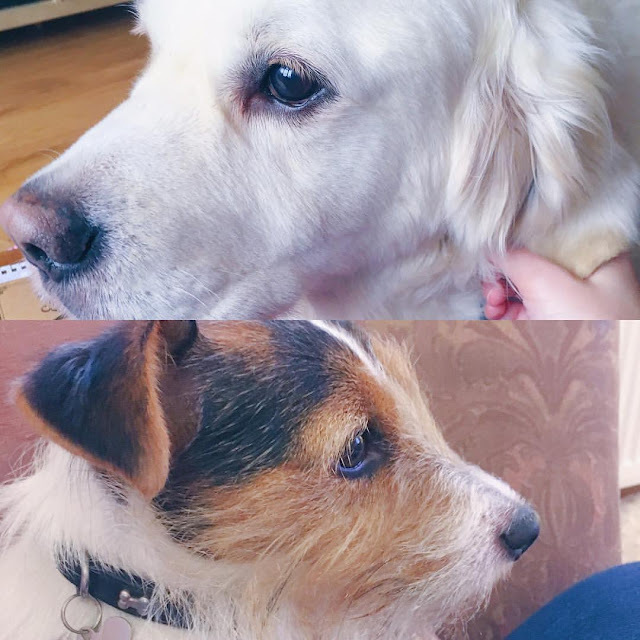 I crashed out when I got back home and snuggled with the two doggies, who were looking after me. I’m sure they know when I’m more unwell/in more pain, as they seem to be even more gentle and careful with me. I’m not sure if it’s related to my day surgery, but during the day I kept having these hot flushes where I was dripping wet, and then got all cold and shivery. It’s happened before after operations, so I’m guessing it probably is related. I had an appointment with my asthma nurse on Wednesday morning, so had to be up early. My breathing has been getting worse again recently, so she increased my dose for my inhaler and gave me a different spacer to try. I’ve got to go back in a month (or earlier if things keep going downhill) to let her know how I’m getting on. My Mum and I popped over to the chemist to get my prescription, and then went home. I had planned to do a few jobs on my laptop, but must have fallen asleep when I sat on the sofa. Next thing I knew, my Mum was waking me up a few hours later, so I obviously needed the sleep. I had a fairly quiet afternoon doing a bit of Uni work and watching another episode of Shetland with my Dad. 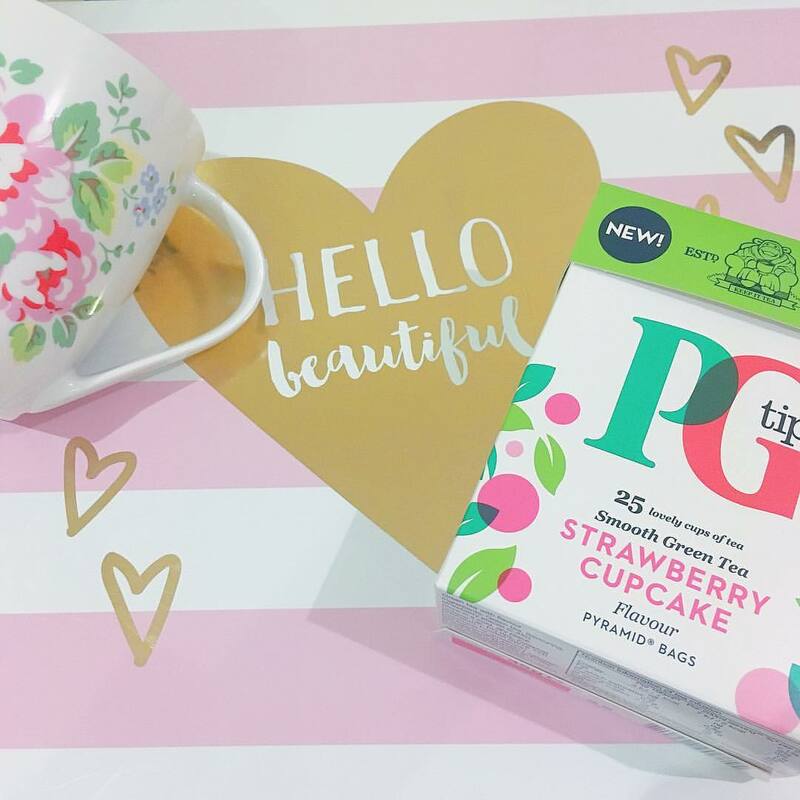 I was feeling really sick still, so tried to relax a bit with a PG Tips Strawberry Cupcake green tea. I felt quite wobbly when I got up on Thursday morning, so I just took things slowly. My parents went out, so I decided to try and get a new blog post up during the morning. I did manage to drive my car down the road to pick my sister up from school at lunchtime. It was hard work, but she drove back, which helped me a bit. I spent most of the afternoon curled up on the sofa. I watched the first episode of ‘The A Word’ and wrote my cards for October. I also tried to ring the DWP about claiming for PIP, but after 45 minutes on hold they said there was a high volume of calls and that they’d ring me back on Saturday. These gorgeous flowers in our kitchen brightened my day. I had hoped to go into Uni all day on Friday, but because I was still feeling quite wobbly after my surgery I actually listened to my body and decided to just try half a day. So I had a bit of a lie-in, took things slowly and spent the morning doing some tidying in my bedroom. My Dad drove me over to Uni around lunchtime and my support worker took me up to the classroom. We spent the first half of our lecture learning about contract law, which was quite intense! For the second half, a lady came in to talk to us about work experience, which just made me feel even more anxious about it if I’m honest. I’m mainly worried about finding something that will be right for my health, and which will be able to accommodate my disabilities. I know I need to just get on with contacting places, but I keep convincing myself no one will want to take me. My Dad brought me home, and just as we got through the door the heavens opened. This beautiful double rainbow appeared, which I’ve heard is meant to be lucky! Saturday was the first of October, which means only three more days until my birthday! I’ve got very mixed feelings about it to be honest. Part of me is excited to celebrate and do some nice things, but the other part feels sad that I’m another year older and my life hasn’t turned out as I’d hoped. As a young child, I dreamed that by this age I would have a degree, live in my own house, have a partner and perhaps even a family. But my health has put a stop to a lot of that, and sometimes it really does feel that it may never happen. Anyway, back to yesterday. It was absolutely freezing when I got up, and with the heating broken there was no way of warming up! Richard and Lisa popped over in between looking at houses (they’re planning to move), so it was nice to chat to them. My Mum and I decided to go into Camberley to have a look at a couple of shops. The traffic was absolutely awful and it took us ages to make what should have been a very short journey. We went to Primark and I picked up some cosy pyjamas and a couple of tops, but it was really too busy to look round properly. We also had a look at the Zoella Lifestyle range in Superdrug and I made a mental note of a couple of things I would quite like to get. Finally, we popped into Boots and I found the most beautiful highlight from L’Oreal in Icy Glow. 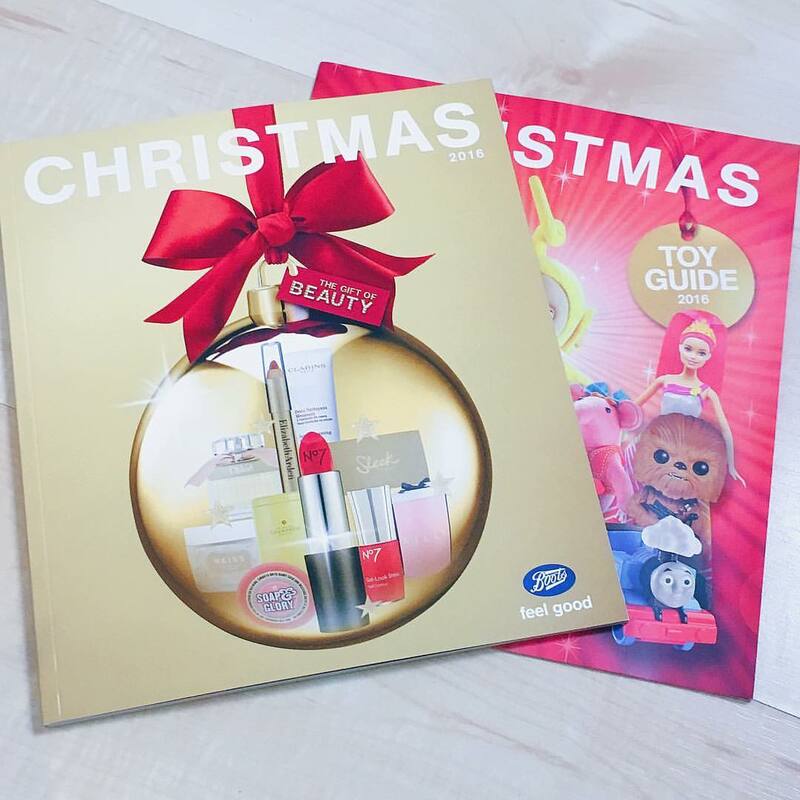 We also picked up the Boots Christmas catalogues, which just feels crazy! On our way home we stopped at Marks and Spencer to get my birthday cake, which I’m very excited to share with you soon! By the time we got home I was exhausted, so crashed out on the sofa with Freddie. I popped some episodes of The Simpsons on and did a bit of Uni work.